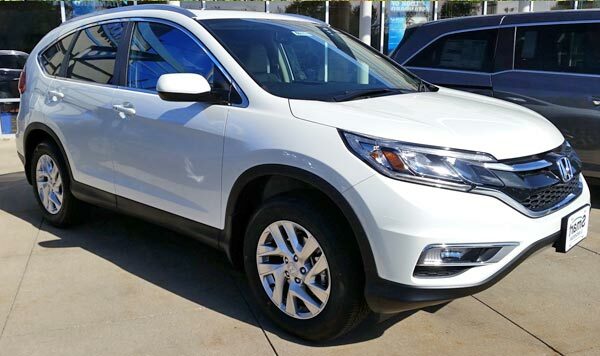 2015 Honda CR-V. Get the cheapest model (LX - 2WD) for less than $24,000 dollars. 2015 Honda CR-V. Great vehicle for going off-road. The 2015 Honda CR-V was completely renewed inside and out, and for this generation has new line of engine options, new safety technologies, communication and entertainment, offering more than its competitors, for a cheaper price. 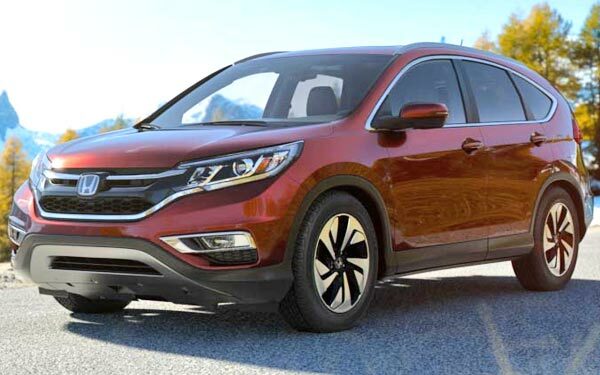 The enhancements to the exterior design of this new Honda CR-V, which went on sale this past spring, will give another boost to Honda in order to increase their sales to more than 30,000 monthly units. The most notable changes took place in the front where the renewed headlights flow into the new grille which also was renewed. Finally, in the rear, the multifunction LED lights have been modified to give the CR-V a more three-dimensional fluid. 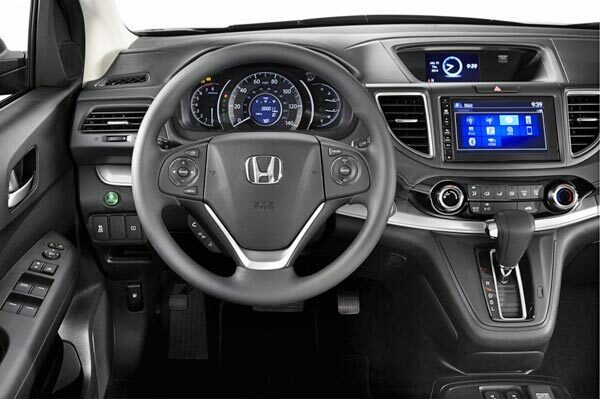 Honda has gotten the aim of offering a more functional and sophisticated interior thanks to the redesigned chrome insert effect across the entire dashboard and the use of quality materials on main surfaces. In addition, the sliding armrest (2.4" from front to back) located between the front seats, provides greater versatility and comfort. Torque: 164 ft-lb @ 4,400 RPM. 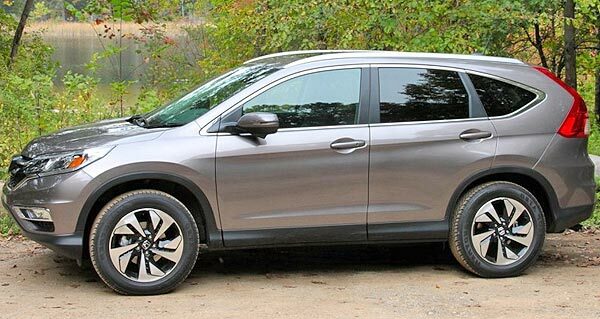 The Honda CR-V has always been one of the most efficient SUVs on the market, and Honda engineers have worked tirelessly to hone all aspects of the fourth generation. In this way, they achieved a significant reduction in fuel consumption and exhaust emissions. Unfortunately, you'll have to decide if you want a moderated fuel consumption or a stronger SUV. If you compare it with its rivals, many of them offer more powerful engines and transmissions with more gears than those offered by the Honda CR-V with its five-speed gearbox. 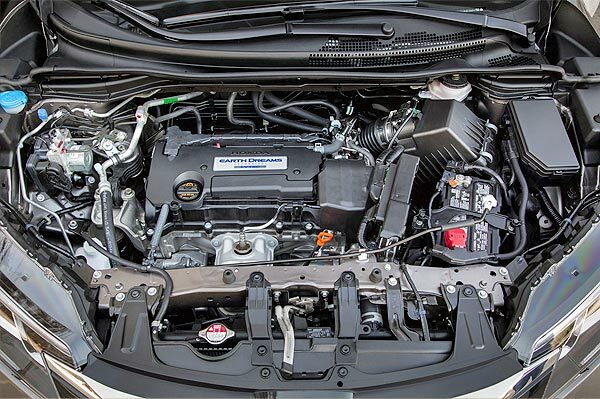 So if you want a utility for the daily driving and your main goal is to save money without wasting gas, this model of 2.4L engine of 177-HP and 164 lb-ft of torque, is the choice. 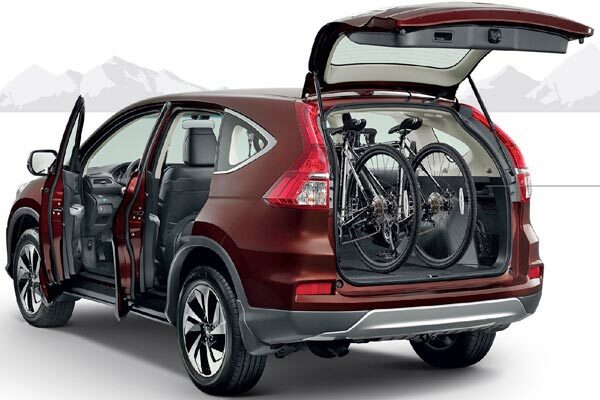 The Honda CR-V 2015 is part of one of the fastest growing segments in the automotive industry and thus more competitive. Some of its closest competitors are the Ford Escape, Mazda CX-5, Nissan Rogue, Dodge Journey, Toyota RAV4 and Volkswagen Tiguan. Among other things, potential buyers of the CR-V 2015 will benefit from one of the first versions of Honda Connect and its new innovator infotainment system based on Honda applications. This system, included from factory in all its models, offers higher levels of comfort and road connectivity thanks to a wide variety of functions integrated into a seven-inch touch screen. 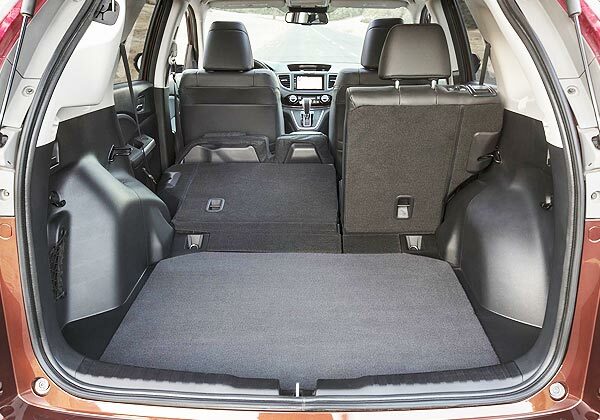 The Honda Connect system allows occupants of the front seats to have quick access to information of the vehicle, the rear view camera for parking and music, as well as to the Bluetooth connectivity for your phone, besides enjoying the MirrorLink technology. 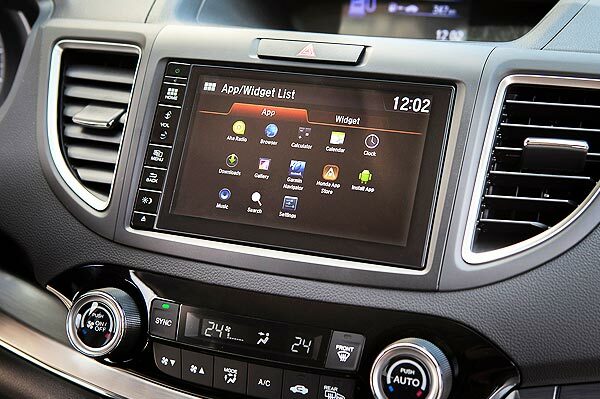 Among the functions of the new system you will see the Internet access, new pre installed apps and also, access to the Honda App Center, the Garmin optional satellite navigation, the audio screen, AM/FM/DAB radio or through Internet, phone interface and Bluetooth connectivity. It also includes a rear-view camera for parking with dynamic indications and a wide variety of information about the vehicle, such as odometer, fuel economy and journey time. If you compare it with its predecessor, you will notice a reduction in the height and length, though to achieve it, the interior space wasn't sacrificed. Despite the cosmetic changes, this SUV is instantly recognizable as a member of the CR-V family. This time, the evolution shows a body with a more aggressive and aerodynamic stamp which continues the tradition of imposing the vertical tail lights. The LED technology will be missed. 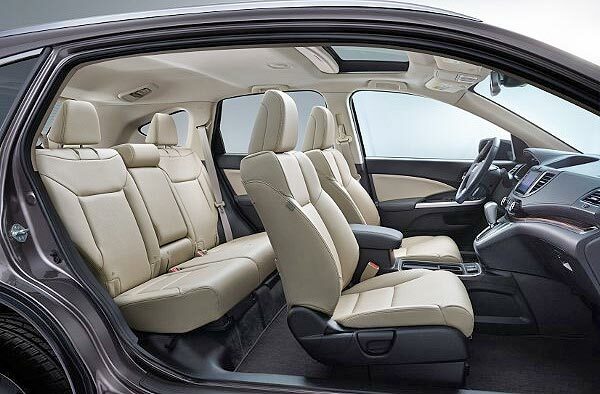 Definitely, one of the strengths of this new Honda CR-V 2015, is the efficient and ergonomic interior. Despite its compact body (15 ft. Long, 6 ft. Width and 65 "height), the habitability is more than enough to accommodate up to five passengers comfortably plus their luggage (1054 lt vol.). Despite the fact that door panels, steering wheel, and dashboard, have a new image, the quality of the plastics didn't improve. Again, it is clear that what once was a luxury, more and more becomes a necessity. You may notice this in how common the reverse camera has become in vehicles from a segment where before it was virtually impossible. It is noteworthy that this system comes standard on almost all versions of the CR-V, except the LX, along with the USB port and the Bluetooth connection. In the more luxury models, the GPS Navigator is available. Since its release in 1995, the Honda CR-V quickly became a benchmark in the compact SUV segment thanks to its practical size and efficient fuel consumption. This family vehicle has nothing to do with the enormous SUVs of ravenous six- and eight-cylinder engines. All this has meant to the Japanese brand the sale of more than five million CR-V's worldwide. Almost 20 years after its market entry, the Japanese manufacturer is selling the fourth generation that comes with several improvements in terms of quality, functionality and other aspects such as fuel consumption. Once again, the three pillars, functionality, efficiency and reliability, are present in an amplified way. The fact is that one of the main qualities of this model lies in providing the capabilities and space of an SUV but with the docility of a sedan delivered when you sit behind the wheel. 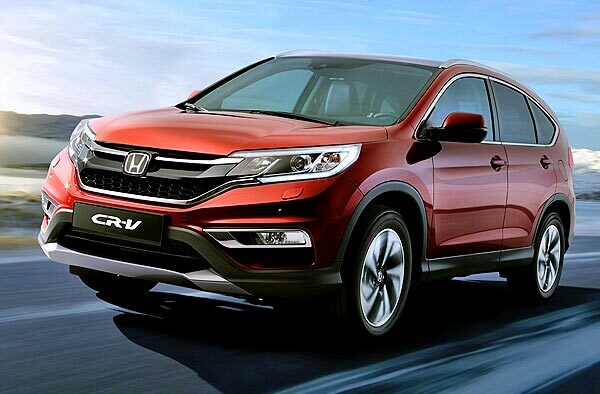 There is no doubt that the success of the CR-V is based on its predecessors.